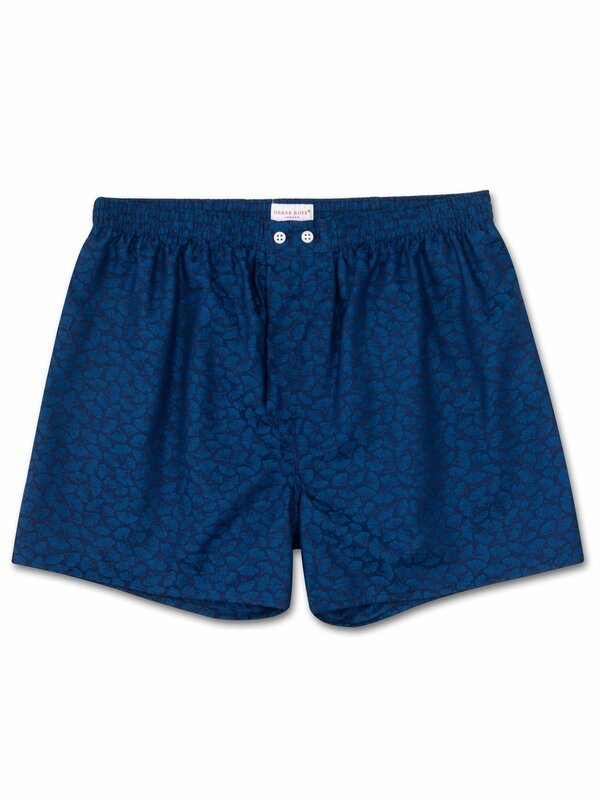 The Paris 14 navy blue classic fit boxer short features an intricate Japanese ginkgo leaf design with a lustrous silky touch. This intricate pattern is woven into the mid-weight fabric using a traditional jacquard technique to produce a layered and textured repeat pattern. 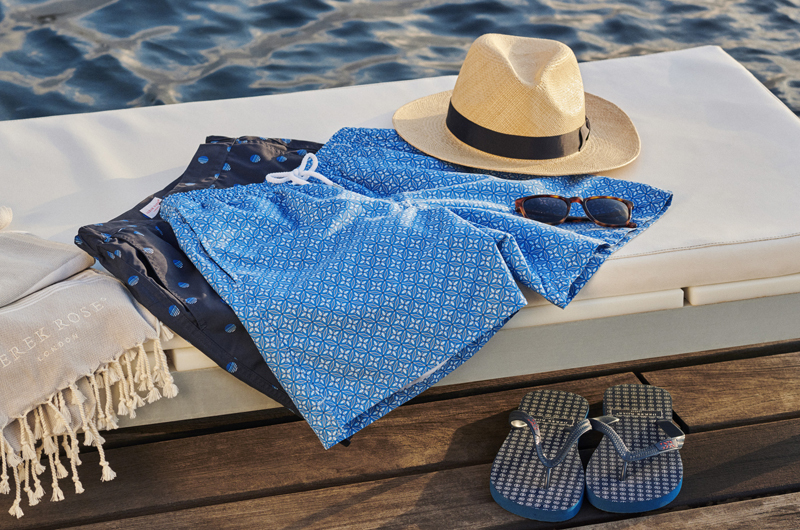 The eye-catching gingko leaf pattern is hand-drawn and then digitised on a computer before being woven into its satin touch, ensuring it feels as great as it looks.